and is located about 90 miles from the city of Le Mole St. Nicholas. In case of taking a ferry or a boat to visit the place, you should be prepared to be amazed while enjoying the majestic mountains of the island. 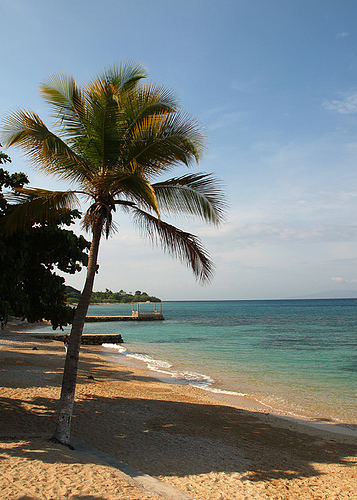 As soon as you arrive at the port of Montrouis, you will realize that the city of Montrouis is easily one of the most important tourist destinations in Haiti. as the main financial provider in the city. One of the most popular tourist hotels in this area is the world famous Moulin-Sur-Mer. This hotel is an authentic sugar plantation is an hour from the city of Port-au-Prince. If you want to be able to experience the tranquility and peace, this is the place to go. Located on five acres overlooking the sea, Moulin-sur-Mer, has over sixty rooms and offers water activities for you and your family to enjoy. If you want to sail, windsurf, snorkel or dive, just let the hotel manager to know about your desire and we will gladly assist you. Montrouis city may be unknown on the world map, but it is a place that is not going to regret it when you’re in Haiti for a vacation getaway.